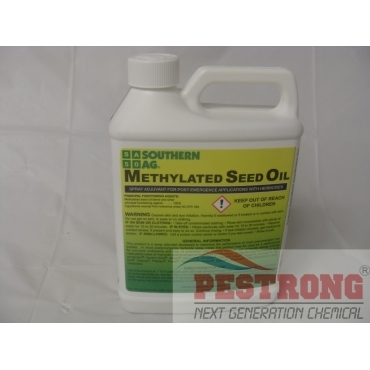 Where to Buy Methylated Seed Oil (MSO) Surfactant, Methylated Seed Oil (MSO) Surfactant Adjuvant - Qt - $12.99 for Sale with Fast Free Shipping! Methylated Seed Oil (MSO) Surfactant Adjuvant - Qt used as a replacement for nonionic surfactant and crop oil. Palm Nutritional Spray Liquid Fertilizer -.. In most post emergentce herbicide spray mixes, this product may be used as a replacement for non-ionic surfactants and crop oil (petroleum oils). Use at 1 - 4 pints per acre (0.4 - 1.5 oz per 1,000 sq.ft) with most post emergent herbicides. Higher Rates may be necessary for some applications. Needed to do a spray application and was looking for a surfactant at a good price. Found one here. Best surfactant in the market, excellent quality of product especially for its price! Awesome surfactant, and so cheap! This is an amazing surfactant. It enhanced the performance of my herbicide. The price is great too! I bought it to go with my Drive XLR8 herbicide for crabgrass, they worked pretty well together, so far I am quite satisfied with the result. This is surfactant I am looking for! I used this with Drive XLR in a 25 gallon sprayer I pull behind my lawn mower. Applying the seed oil and Drive XLR killed all my weeds including the crabgrass. I will definitely use this product again. I used this with a chemical to kill crab grass. It took care of the crabgrass very quickly. Great price! Good price. Works as advertised. I will ditto the comment that it is hard to find locally. The local feed mill had it is stock if I wanted to buy a 30 gallon container. works as advertised. good price. hard to find locally. Cant beat the price. Works as advertised. My friend recomended use MSO, But hard to find for me. I found MSO and others here. It works as proved.